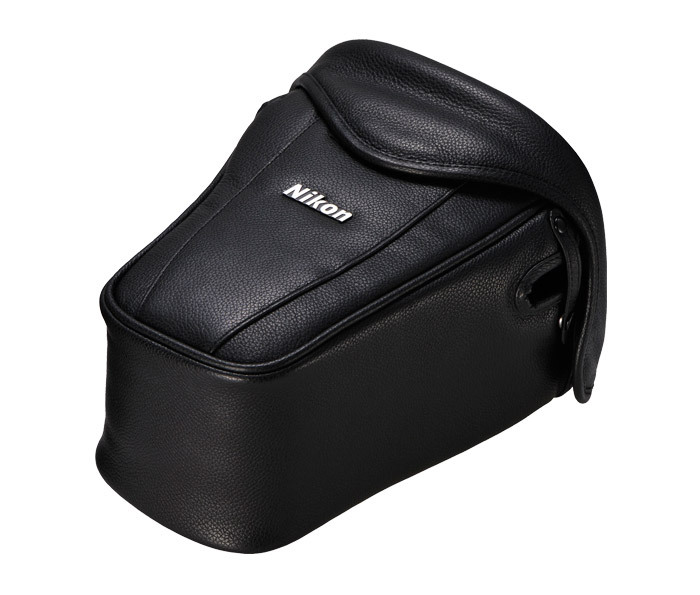 The Nikon CF-DC4 semi-soft leather case fits the Nikon D750 with an attached lens. This black leather case is padded to protect the camera and lens during use and transport. 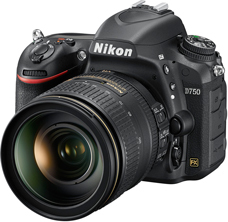 It will fit a variety of lenses including the 24-85mm, 28-300mm and 24-120mm. The case features a padded flap closure at the top secured by Velcro. The Nikon D750 case does not include a strap, but it has strap loop with quick snap attachment retaining strap. You may use the strap included with the D750 or the strap of your choice.